Bass Island Line (BIL) operates a weekly service between Geelong in Victoria, Grassy on King Island and mainland Tasmania on our vessel John Duigan. 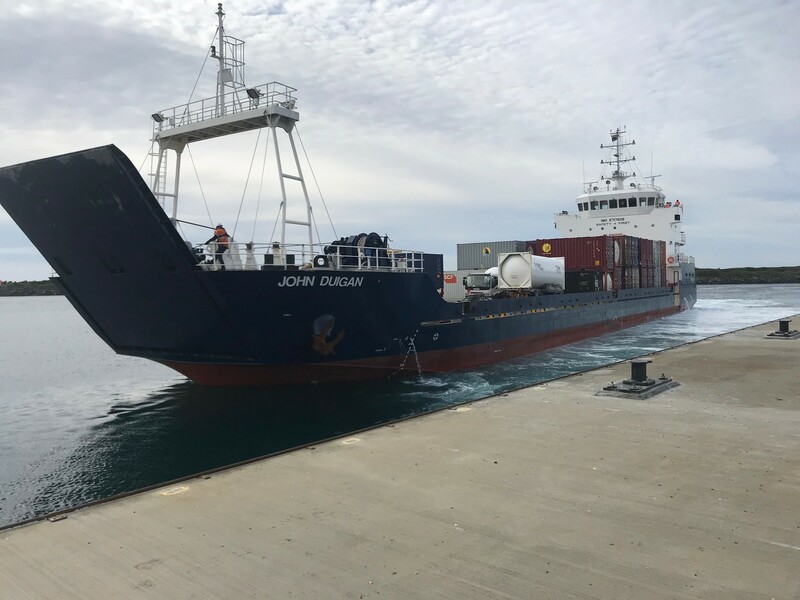 BIL is responsive to business and community needs and we are committed to providing a safe and reliable shipping service for the King Island community. The BIL shipping service caters for containerised, bulk and vehicular cargo and livestock. 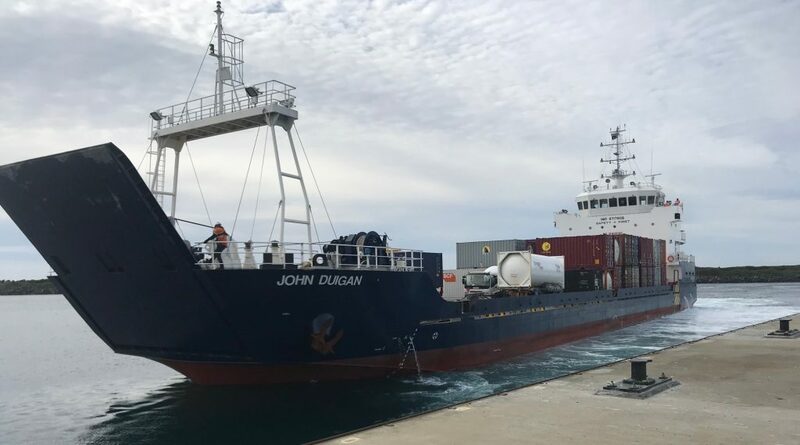 We move a wide range of freight onto and off King Island including fertiliser, livestock, fuel, refrigerated dairy products, groceries, stockfeed, household goods, construction materials, agricultural equipment, kelp and motor vehicles. BIL also has the ability to handle project cargoes and offer special charter rates. We encourage customers to get in touch to discuss their freight needs by calling 1300 038 228. Fertiliser and livestock are the largest King Island imports and exports for the BIL shipping service. We work closely with our customers to meet fertiliser demand, including during the peak season (autumn and spring). We are also committed to meeting the needs of our livestock contractors. Customers are encouraged to make their own arrangements for containers to carry their cargo. BIL is not a total freight solution and is unable to provide shipping containers as part of the service. BIL has maintained freight rates at the same level as the previous shipping service provider. We are focussed on reducing operating costs while maintaining existing freight rate levels. TasPorts – our parent company – has also worked diligently over recent years to reduce port charges. BIL works hard to ensure an effective Receival and Delivery (R&D) process at the port of Grassy. In 2017 BIL invested in a second 35T fork to for R&D and stevedoring operations at Grassy. This provided further flexibility and freight handling capacity. Customers pay freight rates for their goods to be moved from one destination to another with R&D at both ends. The cost of stevedoring is part of that charge. BIL consults regularly with stakeholders about our shipping service. We are in regular contact with all stakeholders on King Island by phone, email and in person. We send staff members to King Island to provide responsive customer liaison services and we have a website where customers can find more information, including the most recent shipping schedule. BIL also provides all stakeholders with regular updates via email, covering everything from the schedules updates to milestone achievements and tips for customers. Customers can call the BIL contact number for further information: 1300 038 228.